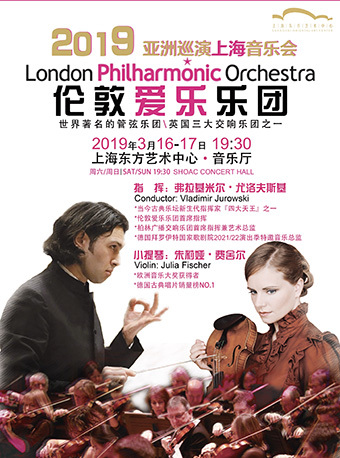 London Philharmonic Orchestra 2019 Asia Tour in Shanghai will be held at Shanghai Oriental Art Center - Concert Hall from Mar.16 to Mar.17, 2019. The founders' ambition was to build an orchestra the equal of any European or American rival. Between 1932 and the Second World War the LPO was widely judged to have succeeded in this regard. After the outbreak of war, the orchestra's private backers withdrew and the players reconstituted the LPO as a self-governing cooperative. In the post-war years, the orchestra faced challenges from two new rivals; the Philharmonia and the Royal Philharmonic, founded respectively in 1946 and 1947, achieved a quality of playing not matched by the older orchestras, including the LPO. By the 1960s the LPO had regained its earlier standards, and in 1964 it secured a valuable engagement to play in the Glyndebourne Festival opera house during the summer months. In 1993 it was appointed resident orchestra of the Royal Festival Hall on the south bank of the Thames, one of London's major concert venues. Since 1995 the residency has been jointly held with the Philharmonia. In addition to its work at the Festival Hall and Glyndebourne, the LPO performs regularly at the Congress Theatre, Eastbourne and the Brighton Dome, and tours nationally and internationally. Since Beecham, the orchestra has had ten principal conductors, including Sir Adrian Boult, Bernard Haitink, Sir Georg Solti, Klaus Tennstedt and Vladimir Jurowski. The orchestra has been active in recording studios since its earliest days, and has played on hundreds of sets made by EMI, Decca and other companies. Since 2005 the LPO has had its own record label, issuing live recordings of concerts. The orchestra has played on numerous film soundtracks, including Lawrence of Arabia (1962) and the Lord of the Rings trilogy (2001–03). Children under 1m in height are NOT admitted, beyond 1m are admitted with tickets!